The wind energy sector spent big money in 2012 to protect its federal tax credits, lobbying disclosure reports released this week show. The American Wind Energy Association (AWEA) spent more than $2.1 million in 2012, a 61 percent increase from the $1.5 million it spent the previous year. 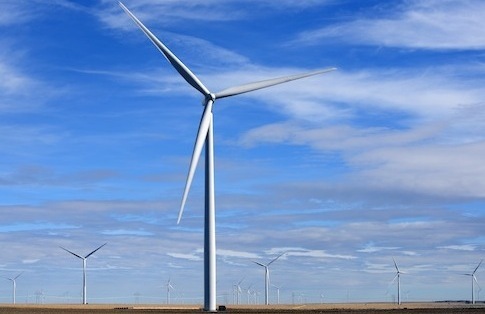 The dramatic increase came as the AWEA was fighting to protect the wind energy production tax credit (PTC), a lucrative tax-break set to expire at the end of the year. Congress first enacted the wind energy PTC in 1992, and has renewed it seven times since, but the tax credit faced an uncertain fate amid the back-and-forth fiscal cliff negotiations. It officially expired for one day before being revived. The wind industry hired a team of heavyweight lobbyists with cozy connections to Capitol Hill to ensure the survival of the credit. According to the Center for Responsive Politics, 33 out of 39 AWEA lobbyists in 2012 have previously held government jobs. K Street firm McBee Strategic Consulting lobbied for the wind PTC on behalf of both General Electric and Google, the Washington Examiner reported. MidAmerican Energy, a subsidiary of ultra-wealthy investor and Obama adviser Warren Buffet’s Berkshire Hathaway, also lobbied on the PTC. The wind energy PTC was extended until the end of 2013 and will dole out an estimated $12.1 billion in tax credits to the wind energy industry over the next decade. The tax credit faced opposition from free-market organizations and conservatives who describe it as "corporate welfare" and say it distorts markets. "Big Wind won a midnight reprieve and another year of the production tax credit, but in the process the industry was forced to admit it could live without taxpayer subsidies," American Energy Alliance president Thomas Pyle said in a statement to the Free Beacon shortly after the wind PTC was extended. "That is no small victory for free market advocates who have opposed this and other wasteful government handouts." The wind industry not only survived a concerted effort by free-market groups to kill the tax credit, but also secured additional advantages. The language of the production tax credit was changed to allow any project that has begun construction by the end of next year to qualify for the PTC rather than projects operational by the deadline, which was the previous rule. The looming threat of an expired tax credit sent wind companies rushing to complete wind turbine projects and cash in on the incentive. According to reports, lobbyists did most of the heavy lifting during last summer when the Senate Finance Committee packed roughly 50 tax credit extensions into a bill, which the committee passed by a 19-to-5 vote. The bill was dead in the water until it was slipped verbatim into the fiscal cliff package, reportedly at the insistence of the White House. Rep. Mike Pompeo (R., Kan.) recently introduced legislation to end all energy tax credits. The bill, titled the Energy Freedom and Economic Prosperity Act, is "aimed at the simple thought that the federal government ought be a lot less involved in picking and choosing energy sources," Pompeo said. The American Wind Energy Association did not immediately return requests for comment. This entry was posted in Politics and tagged Lobbyists, Progressive Movement, Wind Energy. Bookmark the permalink.